You save 18% Delivery time: 9 - 11 workdays You save 139,99£ (16,09%) compared to the single unit price. 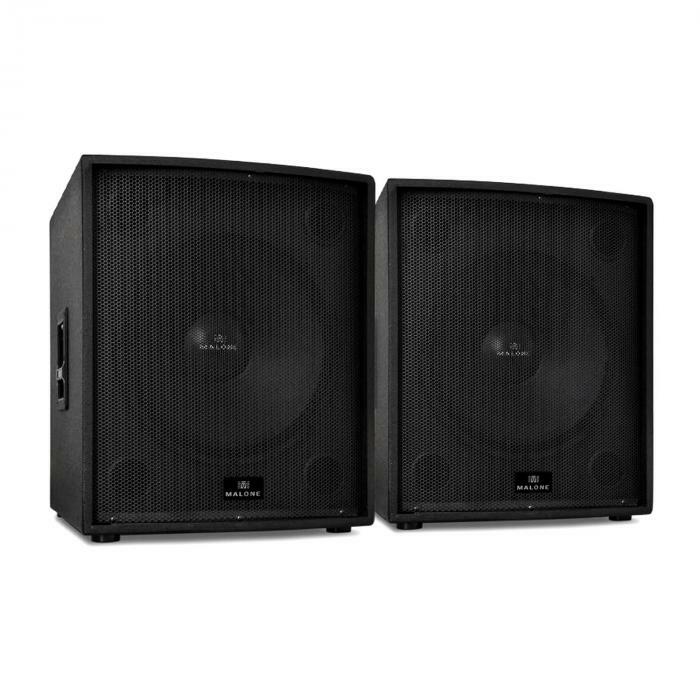 Pair of active PA subwoofers with 46cm (18") 2 x 1250W RMS/2500W max power. Use indoor with up to 500 people. The Auna PW-18A-M is an experienced active subwoofer with a professional limit, a high level of performance and an exquisite sound. 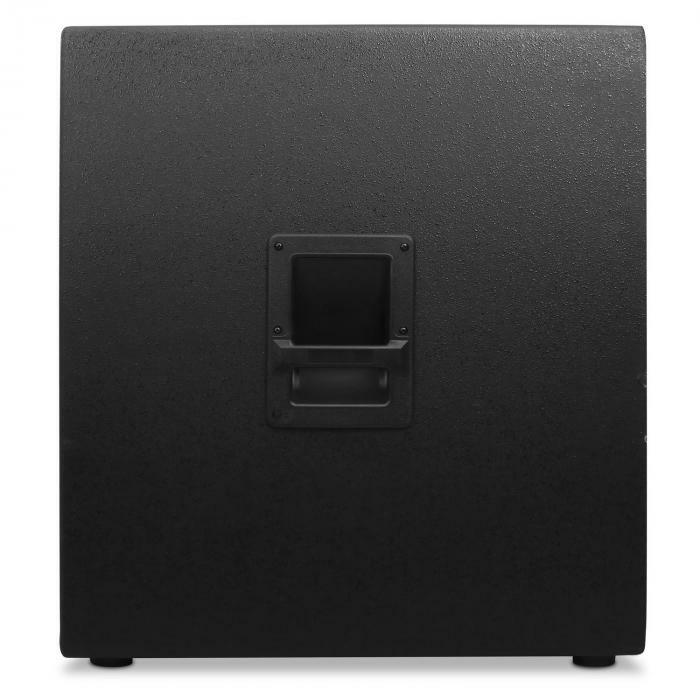 This subwoofer boasts a resounding 1250W RMS power. Instead an overall well faceted, micro-and macro-dynamic sound is designed. 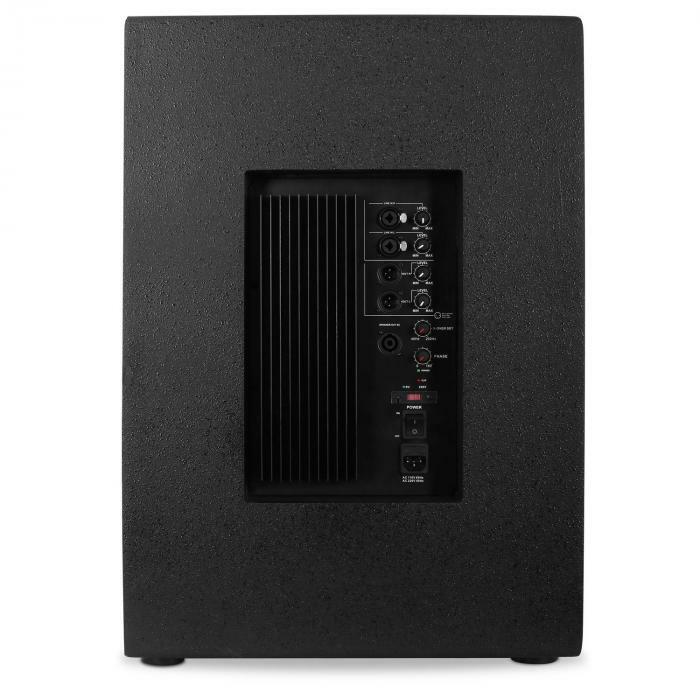 The sound of the subwoofer can be adjusted by means of an adjustable crossover, and the 0/180 degree phase reversal can also be set to genre specifications and room conditions. 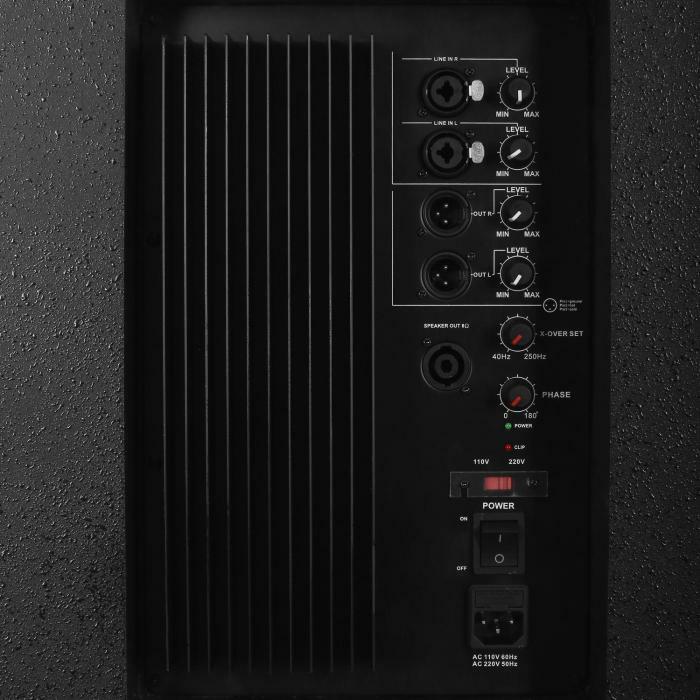 A professional set of connectors mean that these PA speakers can be easily integrated into larger technology environments. By means of the overhead 35mm standard flange, the Auna speakers work perfectly in larger structures as multi-layered floor speakers. Stage performances and other jobs on the go can also be carried out with ease thanks to the transport handles. 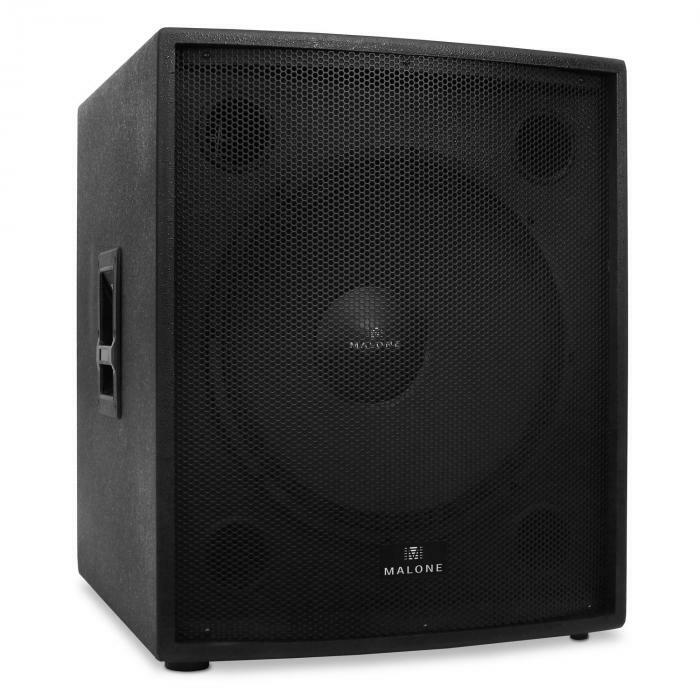 The heavy, robust chassis protects the active speaker against the physical strains of tour use. 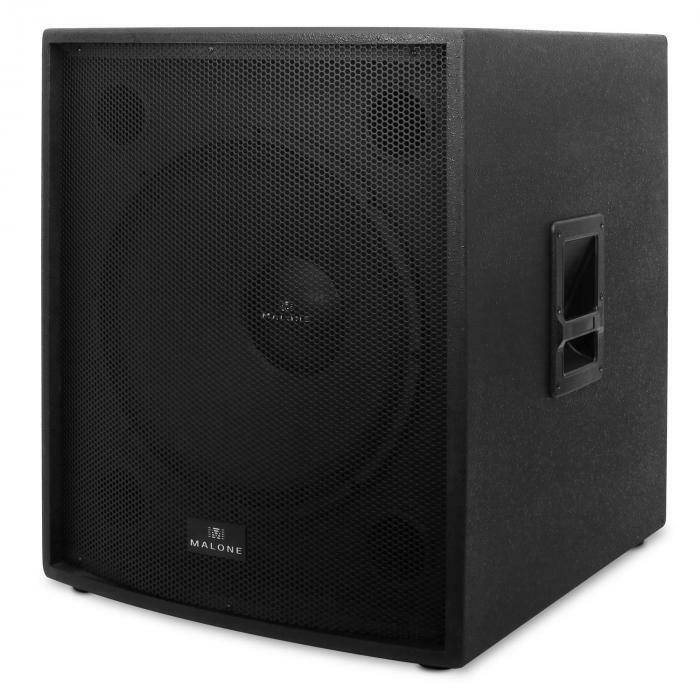 The whole package makes the Auna PW-18A-M a relevant PA loudspeaker for concerts and other events with a magnitude of up to 550 people.